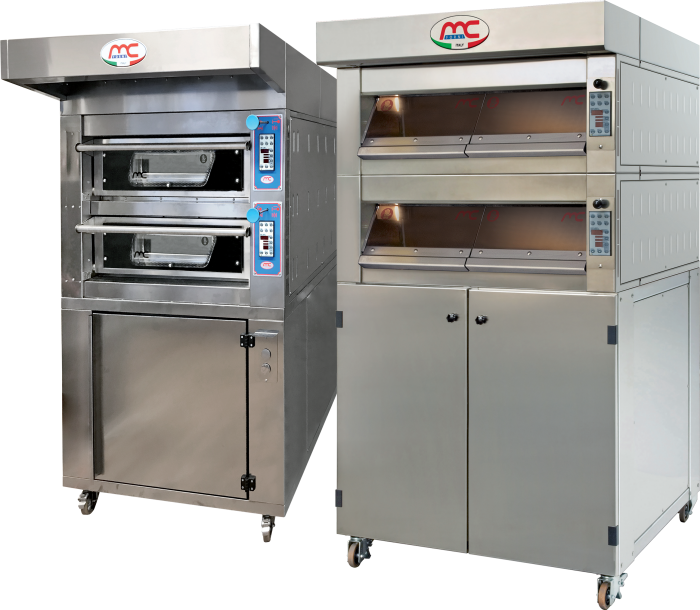 Compact Rotor ovens with low energy consumption and improved cooking performance! 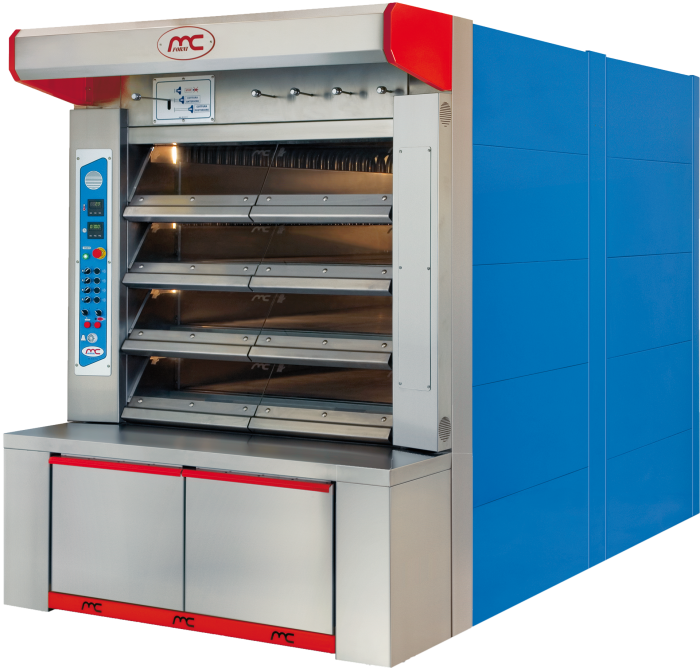 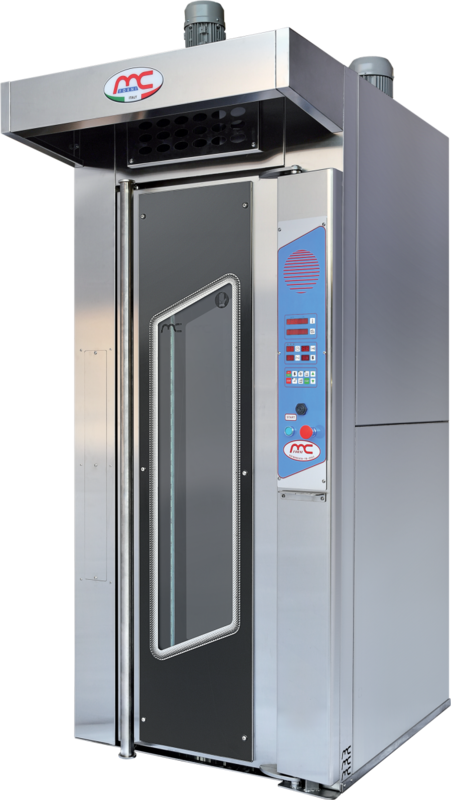 The rack oven MC FORNI COMPACT series are ideal for small and medium bakery and pastry workshops thanks to the reduced footprint. 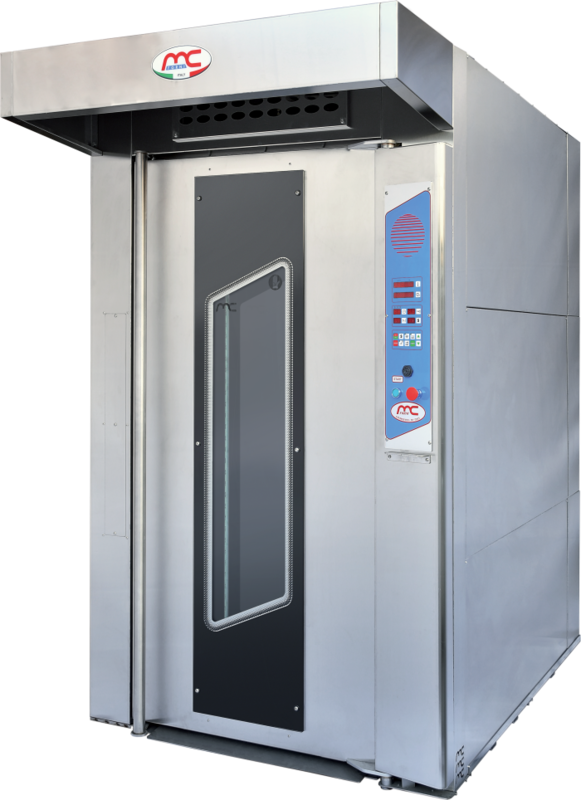 The COMPACT series oven has less energy requirements than all the competitors.. 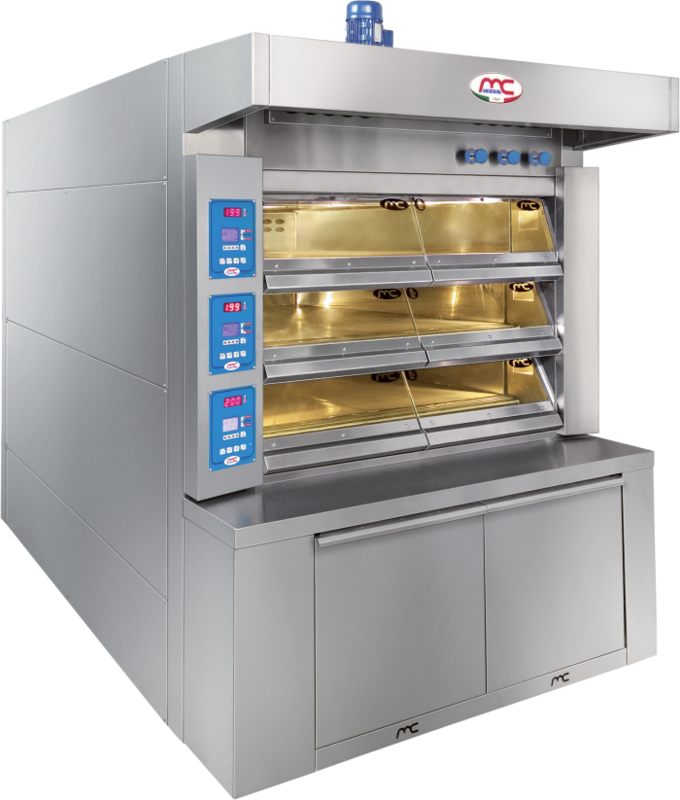 The COMPACT series ovens were created because, due to the characteristic of having the heat source inside the cooking chamber, it allows energy saving, a smaller footprint and an improved baking performance.